Kershaw Sea Anemone Paring Knife with Sheath | BUDK.com - Knives & Swords At The Lowest Prices! The Kershaw sea anemone pattern paring knife is bursting with a high definition, full color, heat-transferred image of a sea anemone on the blade. The image is so clear, you'll think the sea anemone is real! 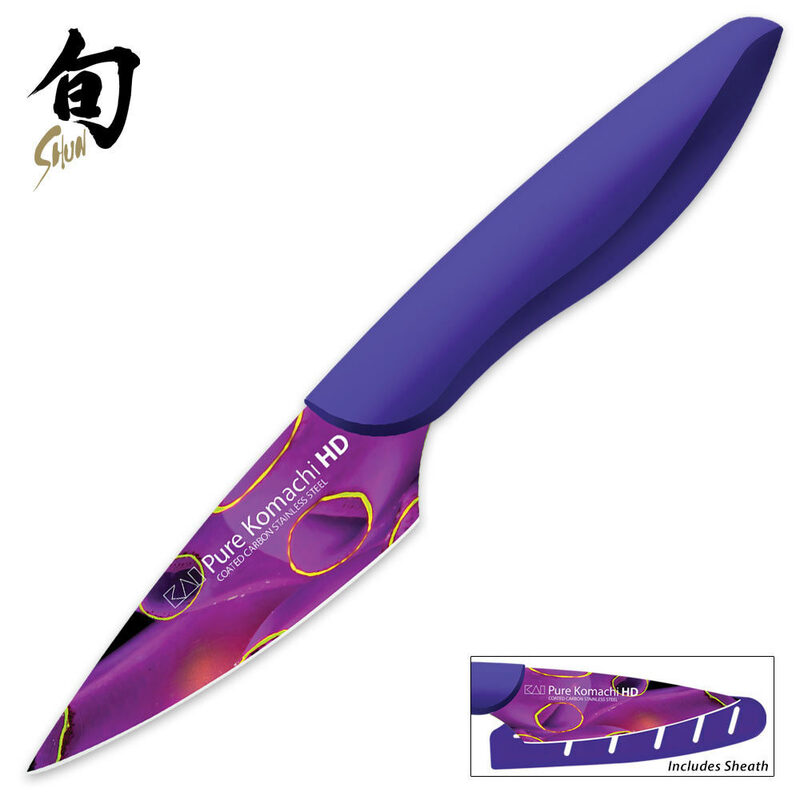 Both beautiful and durable, this blade is FDA food safe approved. Plus, the full color design is scratch resistant and will not fade.